Unfortunately, I don’t really have anyone to talk to about this since it seems that most of the people I am around see astrology as total BS and stupid. I don’t read my horoscope religiously just whenever its in something I am already reading but I do have some astrology books at home that I pick over when I meet someone new and I find out their birthday. But I do see something to it. I mean as much as totem I guess. Just a little more insight to the world. I see some of myself on there but I mean, you can see yourself on any of them right? I think my main thing is my sense of balance but that can be blamed on having OCD instead of being a libra. But is there real guidance in there for a relationship? I think so. I have done read ups on past relationships and they were pretty close. There are certain people of certain signs I don’t get along with that well. And you wanna know something funny – 3 of my closest friends are all Gemini’s. One of the signs that LIbra’s supposibly get along with best. They are some of my favourite people to travel with because its easy and relaxed and cohesive. If there is anything to that then I should be looking for a mate with the possible signs of: Aquarius, Gemini or Libras. I guess that is a good place to start as any. 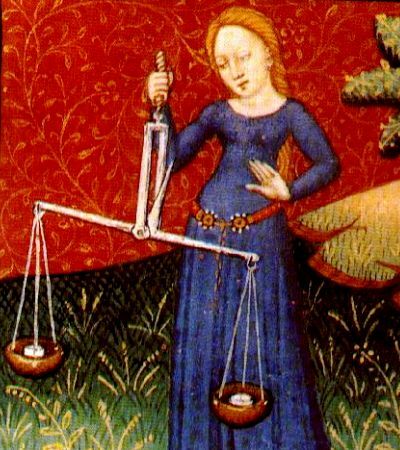 More on the Libra Here: Astrology.com Libra Sun Sign Central. My dad’s a Libra. Boy, is he diplomatic. *whistles* It fits. I find Libras can do anything… IF Y’ALL PUT YOUR MIND TO IT. I’m kind of like you. I have the The Secret Language of Birthdays book and its companion on relationships. I’ll look up stuff in there and it is pretty accurate. I’m not into the Tarot stuff they have in there. I won’t let my life be determined by cards. I agree that the time of year you were born does shape your life. I’m a Scorpio (surprise surprise!) born on November 12. Mine is quite accurate. Anyways, you aren’t alone . . . and just for sith and giggles . . . I’m a christian O_O.